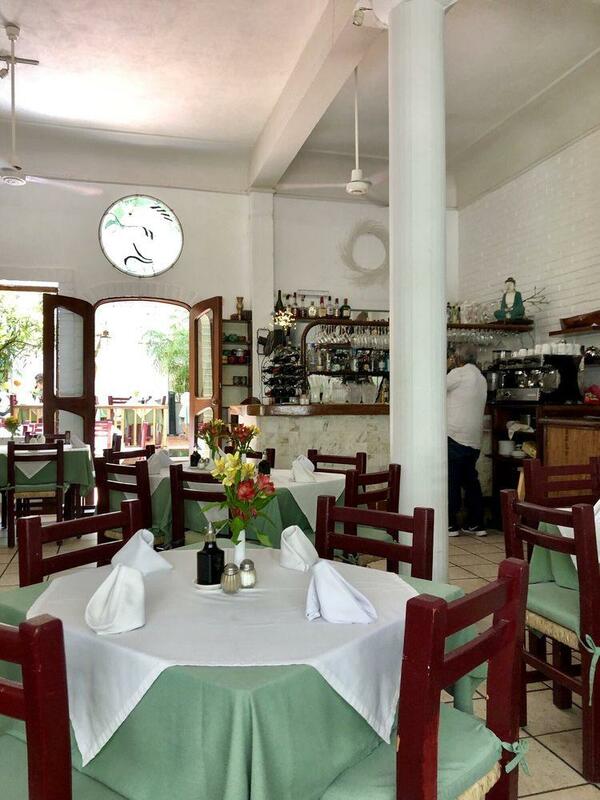 If you are hungry after gazing at Olas Altas, come to this restaurant to dine at. 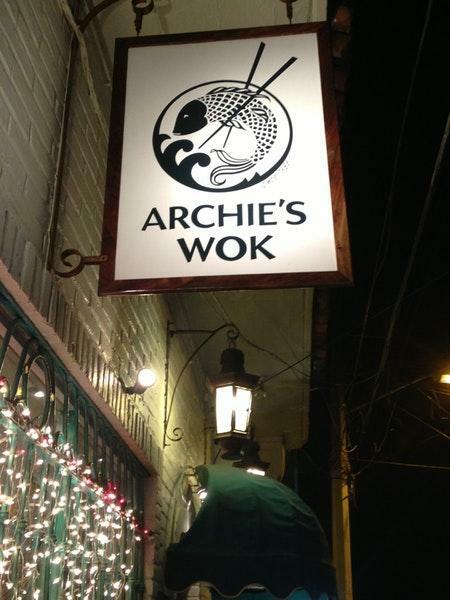 The varied menu based on Chinese and Filipino cuisines is what you are offered at Archie's Wok. A number of visitors of this place say that mouthwatering fried vegetables, wok and green chicken are offered here. 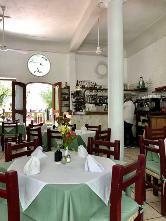 You will enjoy its food, particularly nicely cooked flans, gelato and triple brownies. It is nice to try delicious malbec, margaritas or beer. You will hardly forget great thai tea, coffee or rose tea that you can order. The intimate atmosphere of this spot allows customers to relax after a hard working day. The staff at this restaurant is courteous and always ready to answer questions about the menu. Fabulous service is something that people note in their reviews. Many guests mention that prices are fair for what you get. Archie's Wok can be featured by the divine decor inside. The rating assigned by Frommer's is 3 stars, so this place is an exceptional place. Being of part Asian descent and from Hawaii, Asian cuisine is in my blood, literally! This being our fourth trip to PV, I've always wanted to try Archie's Wok but felt like I'd receive a subpar dish as we are in Mexico for crying out loud. Because my vacation was extended due to unforeseen circumstances, my craving for the orient was in high gear. BRIEF HISTORY: Archie was in fact a real person, moving to PV from California in 1976 and opening up his dream restaurant ten years later. He passed away in 1993. See my photo of the menu back for the entire story. 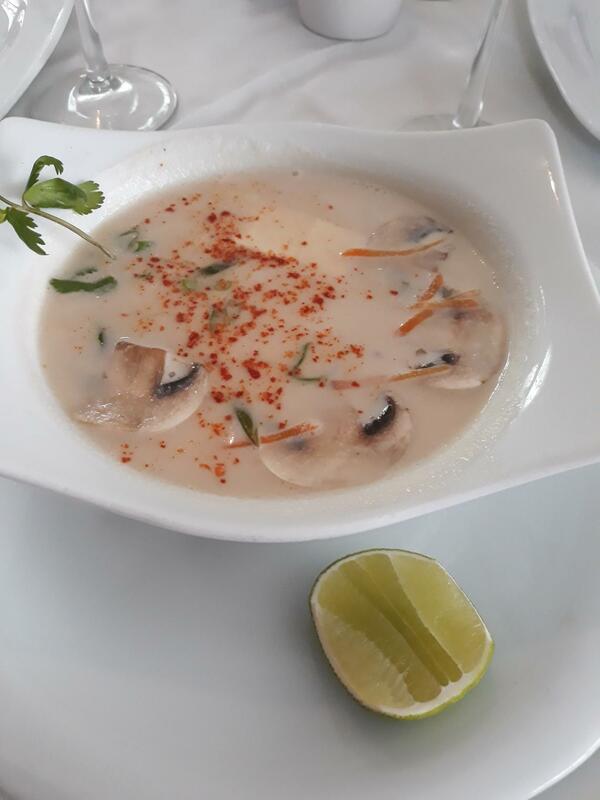 ATMOSPHERE: This is a prime location as they're near the beach but on a side street that's closed to vehicular traffic which provides a peaceful, non-polluted dining experience. Choose from outdoor sidewalk seats, indoor, or backyard garden patio. 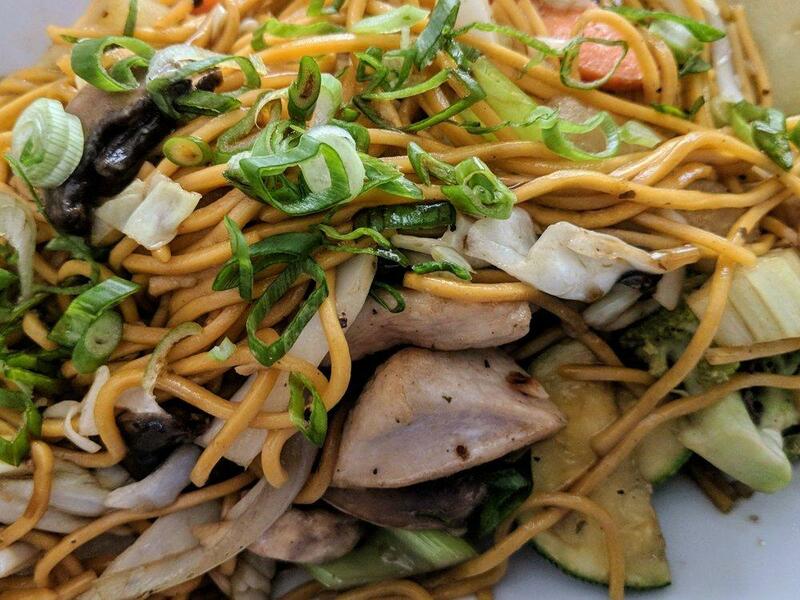 MENU: Soups, salads, noodles, seafood, poultry, meats, vegetable & rice stir fry. FOOD: Yang-Chow Fried Rice - $8.00 USD What happened to the included proteins of chicken & shrimp? I actually received the vegetable fried rice dish but paid for the pricier Yang-Chow version. Inside were just bean sprouts, a single broccoli, carrots, celery, zucchini, green & white onions. I did takeout so I wasn't able to voice my concern as I was quite far from the restaurant when I dug in. Taste wise it was bland but I did make use of one of the three sauces that was packed up neatly which was a shoyu-based sauce that added bold savory ness. The other two sauces were useless - an orange Tabasco-flavor and a spicy cilantro pesto. Had there been no shoyu sauce, I'd sum it up as a gussied up Panda Express recipe. SERVICE: They don't open until 2:00pm. I got there at 1:45pm and was the only one waiting. By the time they opened at 2:05pm, the crowd grew to around 15 people. We all shuffled in and I proceeded with my takeout order. The server and cashier were both friendly and professional. I left with food-in-hand about 15 minutes later. TIP: When doing takeout in PV, you need to ask for utensils. Not one of the 5+ places I went to had them included. OVERALL: My Asian food craving was partially fulfilled. I'm hopeful that the missing proteins were an honest mistake, but it turned out to be a costly one in terms of star rating for them and a return from me. God food. A little over priced.